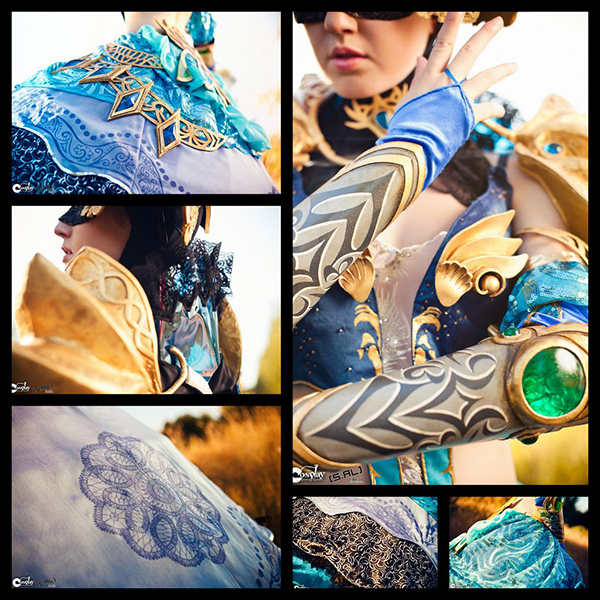 Guild Wars 2 Shining Blade Costume « Adafruit Industries – Makers, hackers, artists, designers and engineers! All of the armor and gems were made from scratch, and the bodice, gloves, and purple overskirt designs were hand-painted. This was my first resin-casting and extensive armor project, and it was definitely a learning experience! Photos by Mike Rollerson and Shunichi Al Hayashi.